This is your invitation to become a member of the Westworth Winds Concert/Big Band. We welcome any student who is presently in a band program at school or is taking private lessons on their wind instrument and any adult who has had success on their instrument and wishes to continue to make music in a band setting. 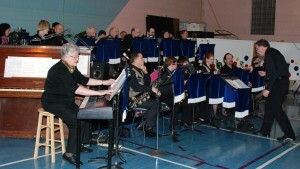 The band rehearses on Sunday mornings starting at 9:15 a.m. in the Westworth United Church Band Room. 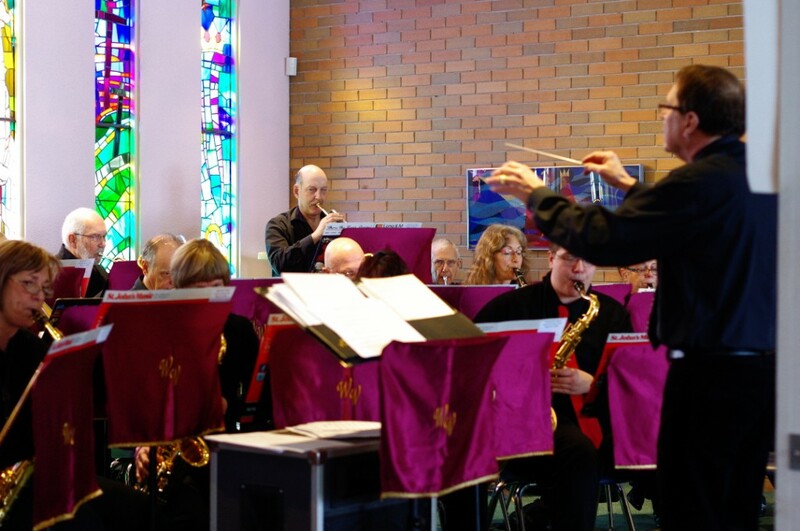 The band performs within the church services about four or five times a church season. There is a social gathering at the church in late February or early March called Samedi Swing. This is when the Westworth Winds Concert Band membership forms a Big Band. There is no monetary cost to be a member unless a special event is planned. This means that the scheduled time commitment is nearly always just Sunday mornings. Home practice is easier because a recording of the performance pieces will be sent out by email either as a demo or as a midi file. This is a band that often contains members of the same family – siblings, mother and daughter, father and son. Performance attire is black – top and bottom. The repertoire is mainly sacred music with some classical or festival-type selections as well. The band/ensemble has existed in one form or another now for over two decades. It was founded by Ray McClelland in order to provide another musical opportunity for the youth of the church who were in school band programs. This has changed over the years and more recently the band consists largely of non-church member adults who are part of the community and enjoy playing their instruments. Ray McClelland is a retired public school band teacher who earned his music education degree at the Brandon University School of Music. He taught high school and junior high bands in Altona for eleven years before coming to Winnipeg. He taught for eighteen years at Valley Gardens Junior High and then for two more years at John Pritchard School before retiring. He has been a volunteer within the music scene at Westworth United Church since 1990 singing in the choir, playing bass guitar with Rockers United and others, ringing hand bells and conducting the Westworth Winds. A few band instruments have been donated to the church band program over the years. So if you want to play and are in need of an instrument, you may be able to borrow one from the church.